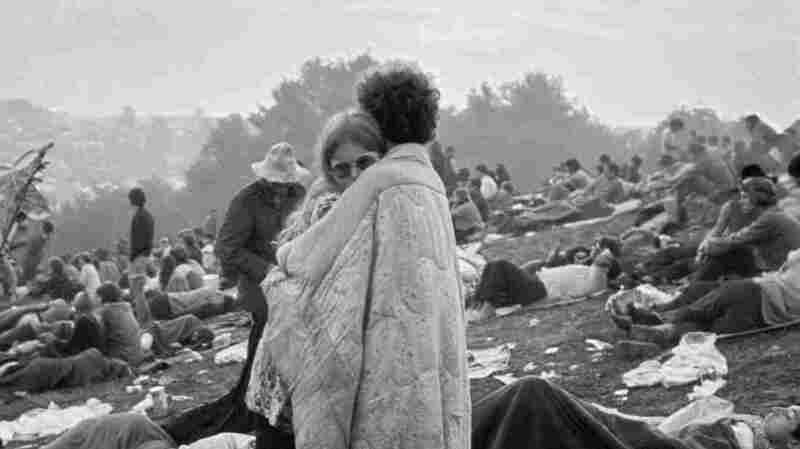 Site Of Woodstock Added To National Registry Of Historic Places : The Record The site of the music festival, now a sprawling compound, is added as the 50th anniversary of the Summer of Love looms. The Bethel Center's museum, for its part, is hosting an exhibition, "Love For Sale," which examines commercialization of that counterculture, already well underway by the time the first chord was played at Woodstock. "The counterculture was now everywhere," the museum writes, "and Madison Avenue embraced the slogans, motifs, and attitudes of the movement to sell cars, soft drinks, fashion, and lifestyles to Main Street." That co-option may have been fully predictable, if history was taken as a guide. "What we kids didn't understand was that we were living in a commercial, commodity culture," the influential cartoonist R. Crumb, a quiet superstar of the '60s and creator of many indelible illustrations from the time, wrote in his autobiographical work The R. Crumb Handbook. "Everything in our environment had been bought and sold. As middle-class Americans, we basically grew up on a movie set. The conscious values that are pushed are only part of the picture. The medium itself plays a much bigger part than anyone realizes: the creation of illusion. We are living surrounded by illusion, by professionally created fairy tales. We barely have contact with the real world."